On the latest episode of Who Makes Cents: A History of Capitalism Podcast, Raj Patel and Jason Moore trace the relationship between capital and the environment through seven cheap things: nature, money, work, care, food, energy, and lives. 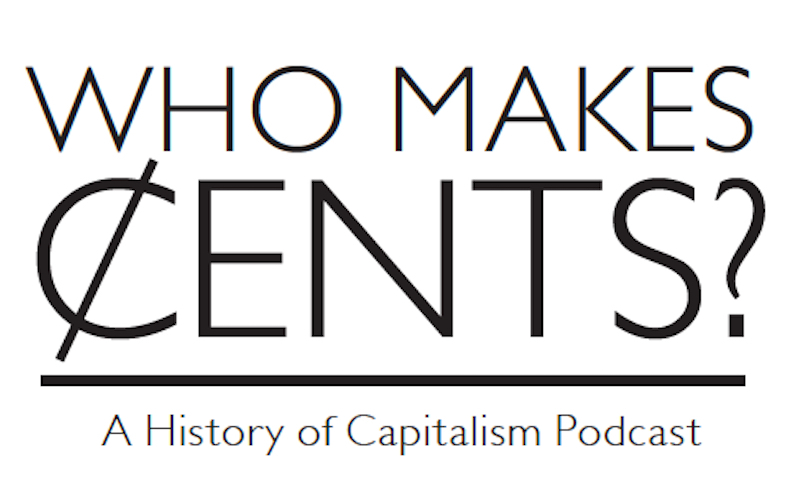 Who Makes Cents is a monthly program, sponsored by Verso Books, devoted to producing engaging stories that explain how capitalism has changed over time. In interviews with historians and social and cultural critics primarily, though not exclusively, focused on U.S. history, the show highlights the political and economic changes that have created the present. Each episode gives voice to the people who have shaped capitalism — by making the rules or by breaking them, by creating economic structures or by resisting them. When we think about the relationship between capitalism and the environment, it’s all too easy to see them as separate spheres bouncing into one another — capitalism devouring nature, like when a forest is razed for development, or nature threatening capitalist progress, like when a natural disaster later wipes out that development. Raj Patel and Jason Moore see the relationship as much more complicated, while also arguing that the environmental crises we face today are the inherent products of the way that capitalism operates. They trace the relationship between capital and the environment through seven cheap things: nature, money, work, care, food, energy, and lives. Raj Patel is Research Professor in the LBJ School of Public Affairs at The University of Texas at Austin and a senior research associate at the Unit for the Humanities at Rhodes University. Jason Moore is Associate Professor of Sociology at Binghamton University. 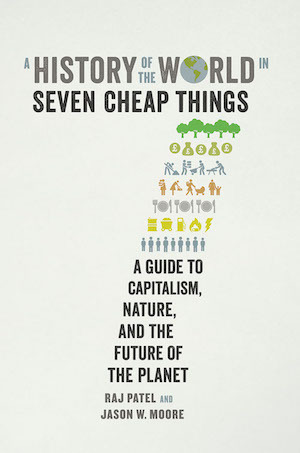 They are the authors of A History of the World in Seven Cheap Things: A Guide to Capitalism, Nature, and the Future of the Planet (US: UC Press / UK: Verso). Listen below or click here to download. Betsy A. Beasley is a Member at the Institute for Advanced Study in Princeton, NJ. She specializes in urban history, transnational labor, and international business in the twentieth century. Her current book project, Service Capital: Houston and the Making of a Postcolonial Oil Economy, traces Houston-based oilfield services executives who promoted a new ideology of American internationalism that envisioned the U.S. not as a center of manufacturing and production but as a white-collar headquarters serving the world through its provision of expertise. She cohosts and produces Who Makes Cents: A History of Capitalism Podcast with David Stein. David P. Stein is a Lecturer in the Departments of History and African American Studies at UCLA. He specializes in the interconnections between social movements, public policy, and political economy. His first book, Fearing Inflation, Inflating Fears: The Civil Rights Struggle for Full Employment and the Rise of the Carceral State, 1929–1986, will be published by the University of North Carolina Press. He co-hosts and produces Who Makes Cents: A History of Capitalism Podcast with Betsy Beasley.